spider monkeys. These are all very close cousins of the Black-Handed Spider Monkey! Sometimes, the Black-Handed Spider Monkey will be called Geoffrey's Spider Monkey. This is because it was originally named after Étienne Geoffroy Saint-Hilaire, a well known French biologist that lived in the 1800's. 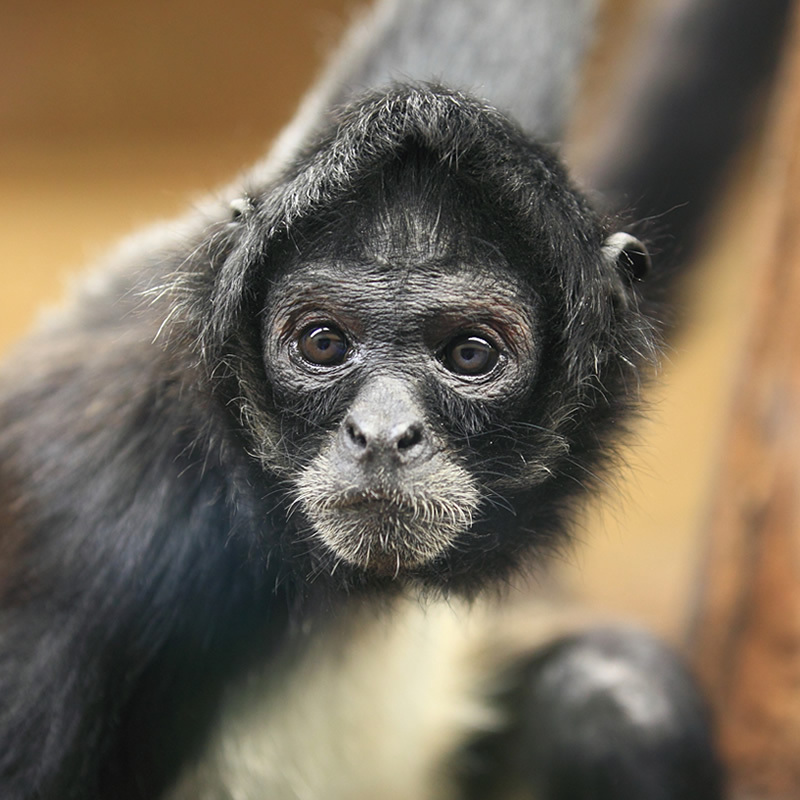 Spider Monkeys are located in Central and South America and some parts of Mexico. Spider Monkeys will eat fruits, leaves and nuts and occasionally insects. Spider Monkeys live high in the canopy of the rainforest and seldom venture to the rainforest floor. Spider Monkeys grow to be approximately 15 - 20 inches not including the tail. The tail is approximately 2 -3 feet in length. The pregnancy period of the Spider Monkey is about 7.5 months. The female Spider Monkey will usually have one infant.